Home EUROPE How can parity be more proportional? International diplomats located in Bosnia-Herzegovina have recently launched an initiative requesting the Parliament of one of Bosnia-Herzegovina’s two entities, the Federation, to reconstitute its upper chamber, the House of Peoples, in line with “more proportional representation”.Yet, how can representation in the House of Peoples be more proportional, when already based on the principle of parity? Sounds absurd, doesn’t it? Representation can be based either on the principle of proprortionality or on the principle of parity. When based on the principle of parity, it cannot possibly be more proportional. Moreover, such an initiative encroaches on the sovereign right of that very Parliament to constitute and reconstitute itself, without external interference. Indeed, what does sovereignty mean in the present-day Bosnia-Herzegovina? In the rest of Europe it has been adopted, almost axiomatically, in the traditions of both Locke and Rousseau, that sovereignty is indivisibleand inalienable. For, the will of the people, as the expression of sovereignty, can not be divided; otherwise, it ceases to be the will of the people and becomes a collection of individual wills and then the people can only be a collection of individuals. Also, sovereignty can not be alienated from its bearer: power may be transferred, but not will; it is impossible for any organ to exercise the sovereign will save the sovereign body itself. The state, as a state, can no more alienate its sovereignty than a man can alienate his will and remain a man. There is but one possible bearer of sovereignty, the people. Here sovereignty is divided between Bosniacs, Croats and others – whatever their ethnic identity or a lack of identity – and they are all treated as possessing a double identity, first as constituent peoples and then as citizens of the Republic of Bosnia and Herzegovina. For, the form ‘constituent peoples (along with others)’ presupposes that ‘others’ – whatever their ethnic identity or a lack of identity – are also to be treated as ‘constituent peoples’, along with Bosniacs and Croats. By analogy, Bosniacs, Croats, and Serbs, along with Others, are to be treated as both ‘constituent peoples’ and ‘citizens of Bosnia and Herzegovina’ in the Dayton Peace Agreement’s Annex 4. But who can actually be proclaimed the bearer of sovereignty on the basis of these two constitutional acts? On the other hand, if we take sovereignty as divisible, the ‘constituent peoples’ may well be regarded as its multiple bearers. Then, however, these ‘constituent peoples’ are not to be reduced only to Bosniacs, Croats and Serbs: the preambles used in both of these constitutional documents suggest that the category of Others is to be regarded as equal to the categories of Bosniacs, Croats and Serbs. Yet, even such relative consistency has ceased to exist in the practical implementation of these two principles. In the the upper chamber of the Parliamentary Assembly of Bosnia-Herzegovina, the House of Peoples, the principle of parity is applied only to representatives of Bosniacs, Croats and Serbs (each represented with 5 seats), while Others are totally absent, as if they do not exist in the Constitution’s preamble among ‘constituent peoples’, along with Bosniacs, Croats and Serbs. 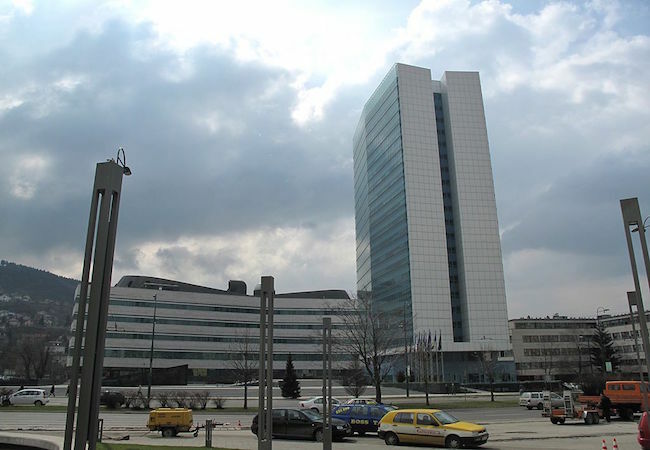 In the upper chamber of the Parliament of the Federation of BiH, the House of Peoples, the principle of parity is again applied only to representatives of Bosniacs, Croats and Serbs (each represented with 17 seats), while the number of representatives of Others is arbitrarily reduced to only 7 seats, as if Others are not to be found among ‘constituent peoples’ in the Constitution’s preamble, along with Bosniacs, Croats and Serbs, and as if the principle of parity can be applied selectively or in some reduced manner. Similarly, in the upper chamber of the Parliament of Republika Srpska, the Council of Peoples, parity is applied again only to Serbs, Bosniacs and Croats (each represented with 8 seats), while Others are represented with only 4 seats, as if they have not been put into the category of ‘constituent peoples’, along with Serbs, Bosniacs and Croats. In other words, even if we theoreticaly accept the possibility that sovereignty may be divided between the ‘constituent peoples’ and the citizens of Bosnia-Herzegovina, such shared sovereignty is in its constitutional implementation distorted to such an extent that only Bosniacs, Croats and Serbs are recognized as ‘constituent’, whereas Others are sometimes treated as partially constituent, with a reduced number of seats, and sometimes as non-constituent, that is, practically non-existent! Zlatko Hadžidedić is Assistant Professor at the Sarajevo School of Science and Technology, Bosnia-Herzegovina. He received his PhD from the University of Sarajevo, Faculty of Political Science, his MPhil from the London School of Economics and Political Science and MA from the Central European University, Budapest. He served as political adviser to several Bosnian ministers and political leaders. His book “Forced to be Free. The Paradoxes of Liberalism and Nationalism” was published in 2012 by Deutscher Wissenschafts-Verlag (DWV).